Little Bubba There are 2 products. Little Bubba provides a baby clothes range that combines practical shapes with the cutest prints and colours. Their core values are quality, comfort and practicality and they know what mum’s and Little Bubba’s want in baby clothes - comfort and style. Designed on the Bellarine Peninsula in Victoria, Little Bubba will ensure that your little one is always cosy and stylish. This Little Bubba bunny print tee has snaps at the neckline for easy dressing. As part of the Little Bubba Hand-drawn Story, team this tee with the Little Bubba Pink Leggings for the perfect little outfit. Little Bubba is a go to brand for baby fashion ensuring that your Little Bubba is always cosy and stylish. 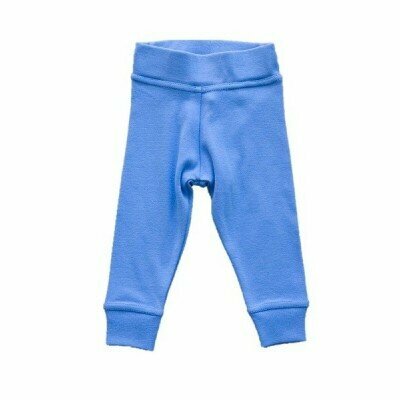 These Little Bubba Blue Leggings have an elastic wait to fit baby and keep him cosy and warm. These leggings match perfectly with the Little Bubba Monster Tee and the Little Bubba Monster Bodysuit for a completely cute outfit. Little Bubba is a go to brand for baby fashion ensuring that your Little Bubba is always cosy and stylish.